An annual, one day, ride across Indiana. Here’s a link from which you can get more information. 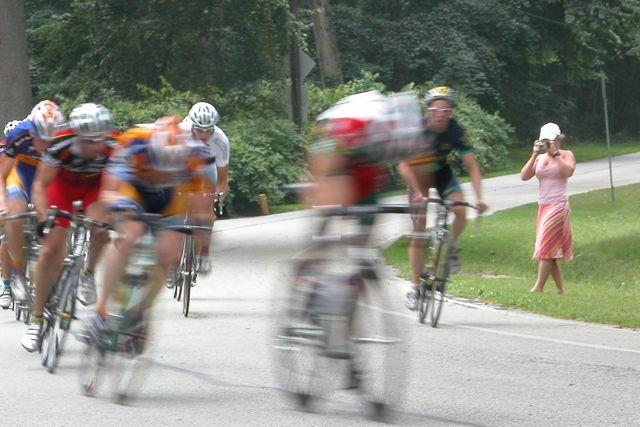 This year’s Hilly Hundred will be October 17-19 in Ellettsville, IN. For event details, visit http://www.hillyhundred.org/. I haven’t done this ride yet, but by all accounts, this is a truly exceptional event. As part of St. Joseph County’s YWCA’s Run, Jane, Run program, there will be group rides on August 24th at Bendix Woods County Park. For more information, follow the Run, Jane, Run link on the St. Joseph County Park’s homepage. You can register on the YWCA’s page (LINK). UPDATE (4/8/2009): Construction is now well underway for Phase II, which will continue this trail all the way to Darden Rd. Notably, Darden Rd now has its own separated bike / pedestrian path as well. If we can manage to get the LaSalle Trail to extend north over Cleveland Rd, we’ll be well on our way to an impressive trail network. The Chain Reaction Bicycle Project (Goshen, IN) is holding a safety workshop on Saturday July 12, 2008. Note: This post has been edited due to conflicting information early on. The 24th date appears to be accurate. Thanks to Adam and Gerry for finding the latest information. The flier that Gerry mentions in the comments is now available at the TrueSport website; here’s a link to a PDF version: LINK. I was in Outpost today and they mentioned that Trek was having a bike demo on July 8th. For those that can take a few hours away from watching the Tour de France, this is a nice way to test a few bikes. Route from Bonds Ave to Notre Dame? The following was sent to bikemichiana@gmail.com; please feel free to post comments with any suggestions! There’s a very interesting and encouraging announcement on the South Bend Code Enforcement website about the city using bicycles for code enforcement inspections.